Krakow’s VANE are a new force on the Polish melodic death metal scene. After last year’s promo release ‘The Prologue,’ the five-piece is set to launch their full-length debut album ‘Black Vengeance‘ this November 30th. Topping groovy hooks of their instrumental work is a story about a pirate’s life. 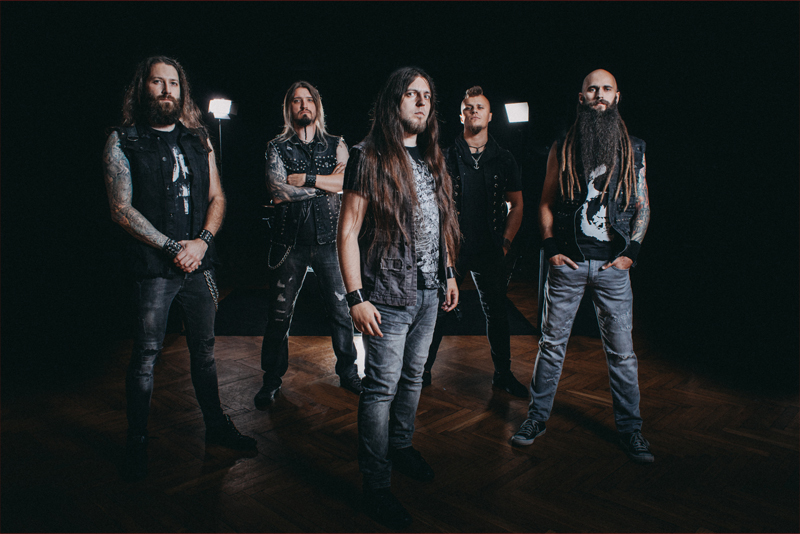 Guitarist Robert Zembrzycki answered our questions about the group’s formation, the name of the band, the upcoming album, and more. Hit a play button on the video below, and enjoy reading. Hello and thank you. I’m super busy with all the promotional hassle around Black Vengeance, but it’s good to finally be promoting something that we’ve worked on for the past year, so I’m a bit tired, but I’m very proud and very happy. The answer is very simple – from Charles Vane himself – the fiercest and most brutal pirate to ever sail the seas. It’s a nice blend of groovy riffs, machine-gun drum onslaught and all manner of growling and screaming vocals, but it’s a mix enriched with interesting melodies, some cool arrangements and an occasional tip of the hat to way more melodic and easy listening subgenres of metal. I think it will come as no surprise, that we like Lamb of God, Machine Head, DevilDriver, but we’re also fans of classic heavy metal. 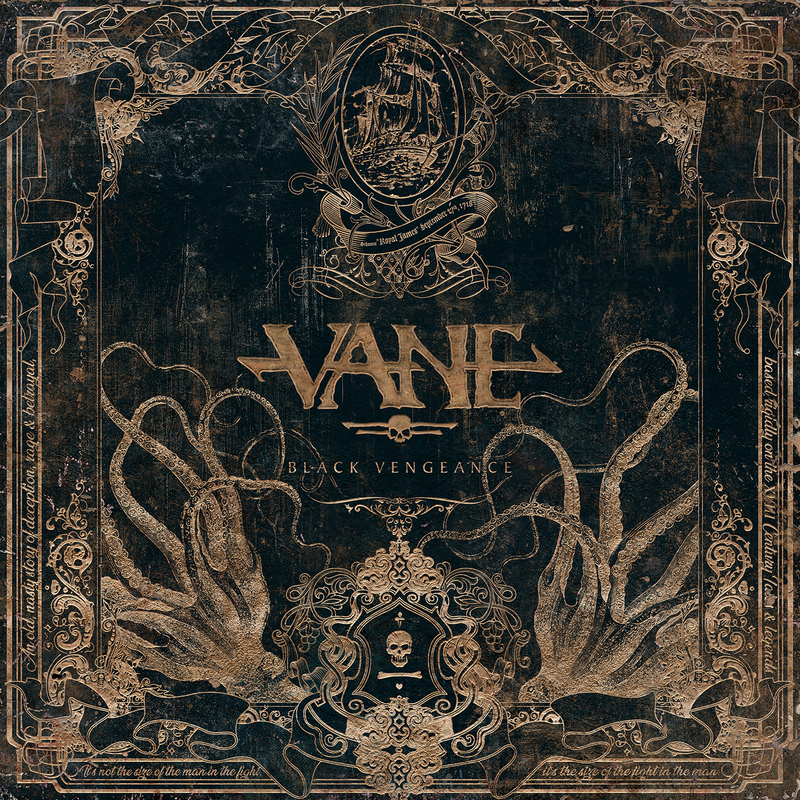 What’s the story behind the formation of VANE? I’ve always wanted to play something together with Mateusz (Gajdzik) – we’ve been friends for a long time. And around the end of 2016 we decided to make it happen. The beginning was rough, but with Mateusz pushing me very hard, we managed to create something, that people will hopefully like. You have an album coming out on November 30th. What do you have to say on the concept behind “Black Vengeance”? Basically it’s a chronicle of a pirates life, one particular pirate, who was quite a peculiar character. The hints about who he is are scattered all around the lyrics, artworks and even on the cover of the album. We’ve just taken a few liberties with the story, to make it more compelling, more cinematic if you will, to draw the listener in and make him or her fall in love with the Golden Age of Piracy the way we did. Well, these are no shanties, let me tell you that! We tried to compose the tunes that were beating inside our hearts, while also rolling out this grand story and adorning it all with pirate imagery. The music itself does not invoke images of the sea, but I think it fits the lyrics just right, and after all, there are many ways to tell the same story. What went into the writing process of “Black Vengeance”? Well, boatloads of work, tons of coffee, blood sweat and tears… some friendships on the brink of ending, some studio dramas, some nervous breakdowns and household warfare with our wives and girlfriends, twenty-something sets of strings, but most importantly – tons of passion. Yeah, I think that’s a complete list. What’s the idea behind the artwork? It’s one of the best covers I’ve seen in a while. Thank you – it been done by our friend, Michal Loranc, aka Xaay. He’s an amazing artist and I’ve always loved his works. The idea was to create a design that would be deeply rooted in history and would invoke immediate association with old book cover or maybe an old label, but the again, we wanted it to be very detailed and polished the way only modern artworks are. And I think we achieved just that. Poland is legendary for its contributions to metal. What’s the current scene looking like these days? I think it’s quite healthy – all the good bands are still around and pushing on, carving their own path to success. We can’t wait to join all our friends on the stages of various clubs and festivals. Don’t do it! Seriously, go get a proper job! Jokes aside? If you have passion for music, and you have something to tell, musically and lyrically, then go for it, but do it either 200% or don’t do it at all. What lies in the future for VANE? We hope to tour a bit, show you some more videos that we’ve shot, and get to work on some more music for you. Be sure to follow us on social media, because there’s going to be a lot of nice things happening. “Black Vengeace” comes out on November 30th; pre-order it here. Follow VANE on Facebook and Instagram.